By 2019, managed services spending could account for almost 20% of all IT services spending globally. Businesses today are built on core competencies. While IT is often a critical enabler of success, enterprises increasingly rely on capable IT partners to help them manage and maintain their entire IT infrastructure. Investing in both the right technology and an outsourced team that will grow with you is the key to making this work. Are you looking for an expert team to handle your IT? By choosing to work with a partner to manage your IT Infrastructure and delivery, you get access to a team of dedicated experts with specialist skills. 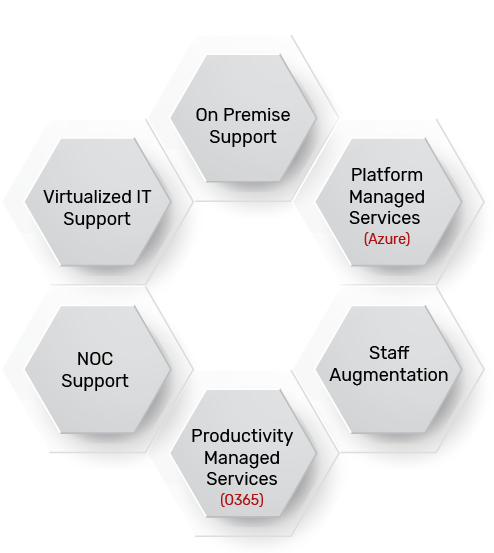 Our customers leverage Embee in several ways, from end to end outsourced IT, to Facility Management Services where we hire technical expertise on-premise and staff augmentation for OEMs, to Remote Support Management to maintain software, operating systems, applications, and security. A leading public-sector firm gained reliable failover redundancy, with server virtualization and consolidation. Embee’s virtualization solution helped in simplifying the client’s server architecture, by making it flexible and easier to manage. 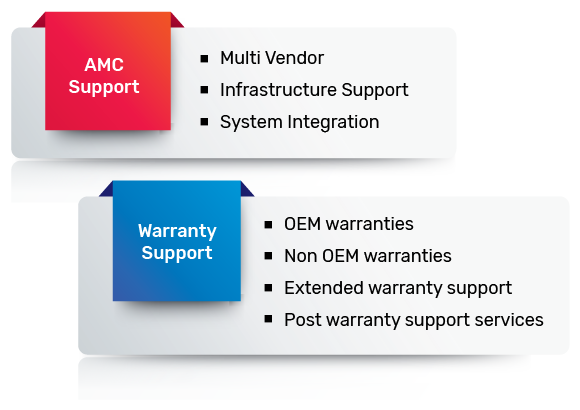 Do you have up to date AMCs and the right warranties? 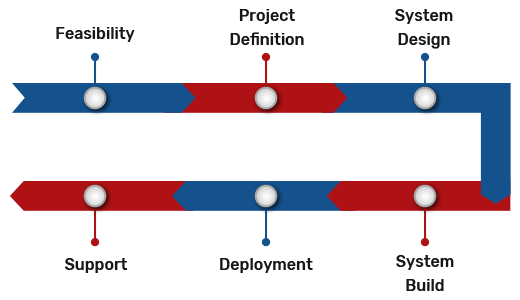 Technology today relies on a strategic combination of best of breed to create competitive advantage. The problem that this creates involves a maze of contracts, warranties and maintenance frameworks. Embee works with clients to navigate this maze and offers warranty support across infrastructure, OS, networks, security, virtual platforms & software including patch management & firmware upgrades. Is your IT ecosystem truly protected? Security as a managed service is an option that most enterprises opt for today. Making sure that your critical IT Assets are protected, backed up and disaster proof involves carefully selecting a partner you can trust. 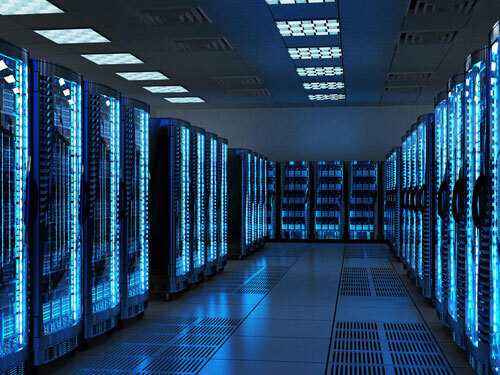 Embee supports several clients in ensuring that their data is constantly backed up through both software and hardware, and even offers DC & DR Infrastructure installation & support including DR & DC replication, distance clustering & performance monitoring. Are you looking for an expert to deploy your IT? Deploying (or upgrading) your IT Infrastructure can be complicated. The need to coordinate across multiple vendors, tightly manage multiple project streams, create internal transparency and accessing the right resources needs a specialist resource. Embee works with some of the largest OEMs and end clients to offer Project Management services to effectively roll out technology projects.